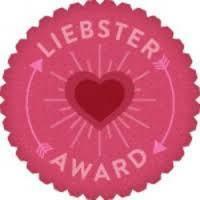 Thank you to Marleen Swart from Live Life with Us who awarded me with a Liebster Award. I really enjoy Marleen's blog as she is such an inspiration with her fitness and healthy living. She has come a very long way and has made incredible progress - an inspiration to many! Thank the person who awarded you the award and link back to their blog. Post 11 facts about yourself, answer the 11 questions you were asked and create 11 questions for your nominees. Nominate 11 blogs who you feel deserve to be noticed and leave a comment on their blog letting them know they have been chosen. My favourite TV show from when I was a kid was 'All in the family' - I'm so excited it is coming to Sky in the next month! I enjoy travel and have been fortunate to visit most of Europe and have a special attachment to London where I worked for 2 and a half years and made some good friends. Spent a year in America where I found the people extremely friendly. They wanted me to keep talking because of my accent. My favourite car is a Jaguar XJS. I owned one when I was younger, but sadly had to sell it. I love chocolate (more than I should...) and found it difficult to control my obsession when working for Cadburys. My friends affectionately named me the Moro Man as I got special deals for them... by the box-full. I never say uhm or ah when I have a conversation. I can't stand it when people lick their finger before passing a page / document to me. I prefer the company of a few close friends. I struggle to sleep a whole night through and often seem to wake up around 3am with my mind working overtime. I've tried various remedies but yet to find one that consistently works. If things had gone differently, where would you be? Stuck in a rut with no future. Do you recall one defining moment in your childhood and what was it? Finishing 9th in the school cross country at the age of 10 and not being satisfied. What did you want to be when you grew up and what are you now? I wanted to be a Catholic Priest and ended up a teacher. What was the one promise you made to yourself that you still strive to achieve? To be happy and live for the moment. Are you happy? Working on it and getting there. Whats on top of your bucket list this year? Gettg a medal at the road relays later in the year and finally competing in the Taupo Cycle Challenge. Who is your bestest family member? My brother Vincent. What sport are you into? Running and cycling. What time do you go to bed? Usually aim for 10pm, but often much later than that. What is the last thing you do before going to bed? Switch the lights off and lock the door. When last did you take a leap of faith in something or someone? A few days ago at the auction for our new house. What is your favourite relaxation activity? If you and I spent the day together what would we be doing? Do you prefer hot or cold drinks? If you could achieve one thing this year, what would it be? Are you patient or impatient? If you could spend 24 hours with someone famous who would it be and why? Lastly, looking at yourself in the mirror which part of you are you most proud of and why? There are so many good blogs I follow and it was hard choosing just 11. Please excuse the messed up font - Blogger is acting up a bit tonight! Thank you for the award Paul :-) I will hopefully try to answer those questions some time real soon.I'm heading off to NZ tomorrow morning, landing in Christchurch. A few days there and then we'll make our way to Wanaka by Thursday so that DH can attend the wedding rehearsal on Friday. My stepdaughter gets married on Saturday at a resort in Wanaka...outdoor wedding and we've been told it will be cold!! Hope you have a wonderful time in the South Island. Not coming North? I am honoured that you selected me, Paul, and it was interesting reading your answers to the questions. Unfortunately I don't do awards or memes anymore so I wonder if you would like to give my 'share' to someone else. Hope getting about is getting easier for you. I thank you also that you selected me and I enjoyed reading about you. I no longer do awards or tags, so please pass mine along to another blogger you enjoy. Thank you for your kind comments on my blog. My faith in God is what is carrying me through this time. Again, congrats on your new home. Thanks very much for choosing me for your Liebster Award. I will try my best to follow the rules and do everything connected with it but it might take me a while. I find it hard to even look at my blog these days, let alone answer comments or leave comments on other blogs! Nevertheless, I shall try and I thank you for this honor. Besides, I will love to have that heart shaped award on my blog. I am afraid I am childish and I see hearts in all kinds of things. Hi Paul! Thank you for the award. I'm not sure how this all works, but I've done my best. You did well! I appreciated your honesty and was great to find out more about you! It's coming back on here in 2 more weeks. Love Archie's facial expressions! This is Sophie's Dad ~~ Ron! I'm the one who coerced Louise (Fundy Blue) into blogging. Aren't we all glad she succumbed! She has many stories to share and just walking through her posts is such a delight no matter the topic. I live in Nova Scotia along the coast and share Sophie, my Labradoodle's world to anyone who wants to just relax. write content to suit your needs? I wouldn't mind composing a post or elaborating on a few of the subjects you write concerning here. Again, awesome web log! Ah, thanks Paul..that's really kind. Thanks so much Paul ... I am almost embarrassed to say that I don't do awards either. But I will try to answer your questions here if that's okay. 2. Crochet or reading or both! 3. Baroque. If I'm driving a car, classic rock. 4. Not cycling because you're about 100 times faster than I am! :) Honestly I don't know. 5. Depends on the season. 7. This is a hard one - I am not good at setting goals for myself. I would love to be approached by some crochet magazine and asked to contribute to a book of patterns. 10. That changes. Occasionally while cycling; often while crocheting. Who can explain those moments of sudden joy? 11. I hope you don't mean physical part because all that is starting to break down ... If you mean talents or skills, I suppose it might be writing or crocheting. Why? Because I care about these arts and whenever I engage in them I am giving of my best. Very hard to answer this one! Thanks for these questions, Paul. They really got me thinking. And also for the very kind award! Just finished watching your video - dang, you're fast. What a lot you have accomplished. I wish I were a fitness nut too - instead, I am, and always will be, a tourist. (Which is okay.) Can't tell you how much I admire your determination and skill in running and cycling.